Computer Technician Near Me, Same Day PC Repair Service At Home. Laptop Software and Hardware is not working when you need it most can be very frustrating. These software and hardware repairs need a professional touch of repair at worst times. Our Computer technician at Pckey Callout offers the best services in terms of providing lasting solutions to computer hardware and software issues. We are a reliable problem solver to all your laptop software and hardware problems. Come and enjoy outstanding PC repair services with Computer technician near me. As of today, there are laptop repair professionals throughout the UK. But we are local near you. At Pckey Callout we are devoted to treating customers with respect and decency while focusing on service, quality and value and believe in quality service as a number one standard for success. With an excellent team of Computer technicians and our service and maintenance culture, we provide our customers with the best in terms of technology and performance for almost all makes of laptops including IBM, Sony, Compaq, Dell, Toshiba, Apple, Asus, Acer, Panasonic, Packard Bell, Siemens, HP, Gateway, Fujitsu, Lenovo, NEC, Advent and many others. We provide home pc repairs services. 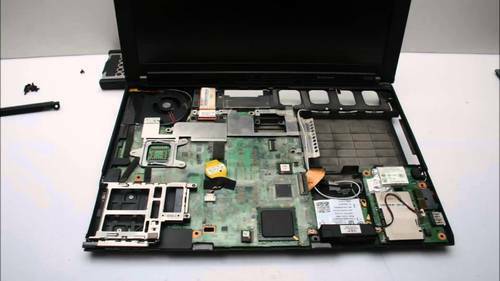 Our laptop repair services offer an onsite service and will be at your door within 2 hours, the same day of your call. We provide fast, reliable and affordable laptop repair services, additional time may be required for ordering parts or waiting for the availability of parts. We have the necessary experience in this field and also the professional staff to accomplish the repair within stipulated time. Looking For Computer Technician Near Me? There are many instances where your computer hardware stop to work or create issues while working. If that happens with you, then trust us you aren’t alone. Thousands of computers broke down on a constant basis and there is a need to contact qualified professional for laptop software repair who know how to do this work brilliantly. We have qualified service technicians who are completely professional, friendly and courteous. They will clear all your queries and answer each of your questions before starting the repairing work. Our team is continuously working to offer same day service to our customers at an affordable price for making sure they don’t have to face much delay. Furthermore, the technician will be available if you need further hardware repairs and upgrade. The software repairs and upgrade is one of our major specialties that consist of Laptop, Computer, PC, Mac repair and data recovery services for our clients. That’s not all, our repair services also make sure all your data remain safe, and the system doesn’t create overheating issues. Our team has years of experience to fix the laptops of all brands, including HP, Dell, Acer, Apple, and many more. In simple words, we are capable of fixing any computer or laptop as per the convenience of the customer. If you want laptop software or hardware repairs and upgrade, then contact us now!